This is a all time favorite burger of our family. All four us like this burger. We usually buy frozen boca patties from costco and use it. When I first came to US, I really have no idea about sandwiches or burgers. My husband used to make these burgers before and happily agreed to teach me when I got interest in learning one. Here is how we make this burger. Thaw the frozen patty for few minutes before you cook them. Take a non-stick skillet and cook the patty, both sides in low flame. in the mean time, half toast the bun (optional), spread butter, mayo, ketchup and mustard, one by one and spread it evenly on both the buns. 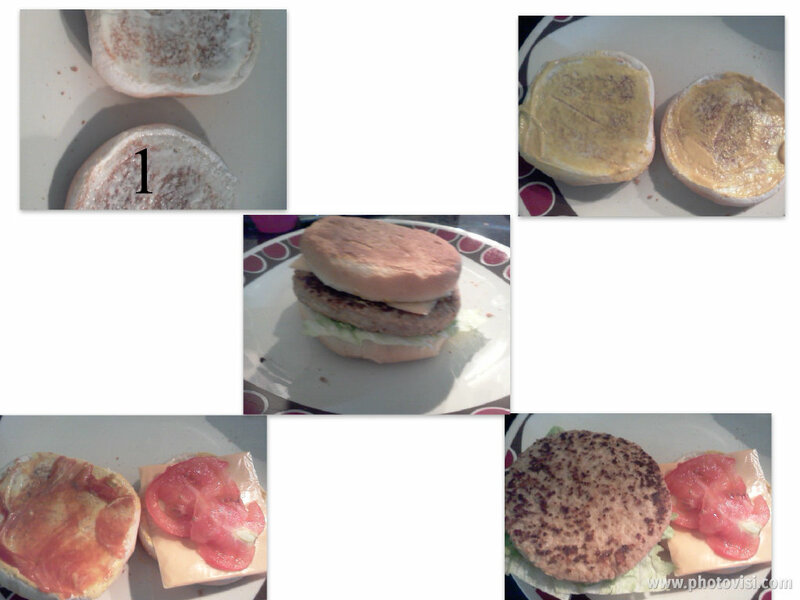 Arrange the vegetables, lettuce & pickle pepper (if you have one), cheese slice and wait for the patty to be done. when the patty is fully cooked, place it on one side and cover it with other half of the bun. Leave it for few seconds so that the cheese gets melted. Now boca patty burger is ready to serve. 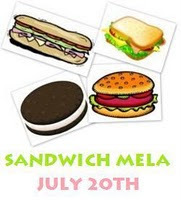 This is my last entry for Srivalli's Sandwich Mela. Yummy stuff.The patty is made of soy is it?.Must have been fun assembling it. Finally I put up the wheat halwa recipe that u asked for. I make sandwich too with boca pattie. 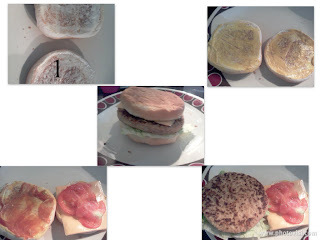 Lately I have been buying the morningstar brand patties and find those to be softer. Looks good.